I’m getting closer to what I want and only part of what I planned and hoped for. Every day I get up to a reminder that I am about embark on a journey alone that I wanted to share with the man I would spend the rest of my life with. Restless and frustrated. 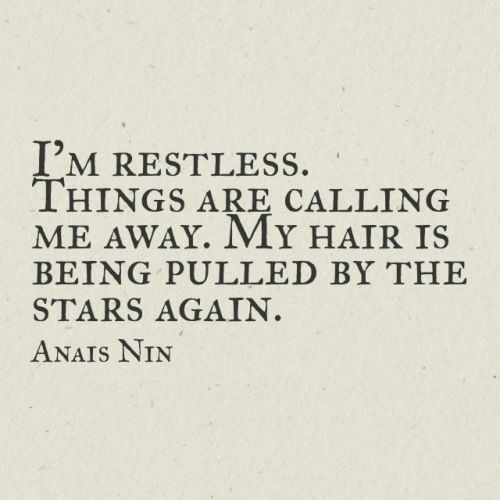 I’m restless and frustrated. Flowing under the surface is the hope that all of this is pulling me up, closer and closer to exactly where I’m supposed to be.